Healthy Environment Achieving Results through Teamwork. The Willing Heart Community Care Center is a non-profit organization supported by caring volunteers, working to provide a healthy environment. The Willing Heart Community Care Center’s roots are based in Metropolitan Baptist Church, which has been serving Newark, NJ for over 75 years. 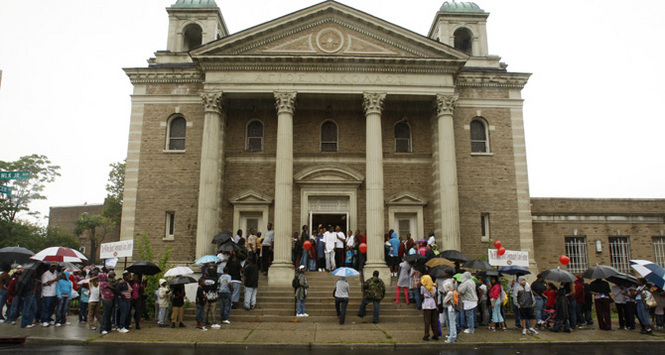 In June of 2008, Metropolitan Baptist Church embarked upon redirecting the focus of revitalization and rebuilding lives from inside the church structure, to also encompass the citizens of Newark that live beyond the church structure. In keeping with its mission, vision, and commitment for the community, Metropolitan created The Willing Heart Community Care Center as a separate, non-profit, 501(c) (3) tax-exempt corporation to consolidate and enhance Metropolitan’s outreach efforts. The Willing Heart Community Care Center has become a beacon of hope for residents of Newark and its surrounding communities. 149 Springfield Ave, Newark, NJ. Hot Items at the Willing Heart!!! Without fail each week we have people asking for soap, toothpaste, deoderant, toilet paper, razors and wipes. Many things that we use every day and take for granted that they are there when we reach for them. Help us as we help others enjoy the opportunity to reach for these items and know that they are there. Your donation is greatly appreciated. Copyright 2011 Willing Heart Community Care Center. All rights reserved.